The James MacKenzie Lecture, 1978. I am grateful for the great honour the Collegehas done me in inviting me to give this lecture. It is an honour which I neitherdreamed of having, nor, knowing my own shortcomings, thought I deserved. I can, however,make one geographical claim to be a Mackenzie lecturer. Mackenzie's mother, JeanCampbell Menzies, is said to have come from a family which farmed land near the villageof Amulree not far from Aberfeldy: and my brother Dave's farm of Muirhall, near Scone,on the outskirts of Perth, shares a common boundary with Pictstonhill Farm whereMackenzie was born and brought up. One August day, when the fields were yellow withripening corn, in search of inspiration for this lecture I crossed the fence to lookon Mackenzie's birthplace. The old stone cottage is now much dwarfed by new buildingsand altered by the needs of modern agriculture. Like Professor Alex Mair, whose splendidbiography of James Mackenzie (Mair, 1973) is such a boon to Mackenzie lecturers,I marvelled at the thought of the family of four boys and three girls reared in thissmall cottage with its hundred acres of land. As I looked on those fields and hills, I thoughtof men like James Mackenzie, nurtured in those Victorian days amid the unceasingtoll of wresting a living from the land. The Scottish presbyterian tradition of familyworship, Bible study, and strict observance of the Sabbath, was ingrained in theiryoung lives. However much the strictness of these observances in childhood may haveled Mackenzie and others of his generation to reject institutional religion altogetherin later life, it is clear that his enquiring mind was powered by a strong spiritualforce, and although he did not suffer fools gladly, his outgoing and warm-heartedpersonality stemmed from the faith and the tradition in which he was reared. His father, a progressive farmer ahead of histime, was the first in the district to reduce the hours worked by his farm servantsfrom the accepted norm of 10 to 12 hours to nine hours a day, and the Pictstonhillfarm servants did not often leave. His mother had a strong, indomitable spirit andit was often first to her that the villagers turned when in need. In this backgroundwe can see the sources whence sprang Mackenzie's strength of character and his single-mindedapplication to research amid all the distractions and frustrations of general practice.The story of the struggles and triumph of that research is well known and is oneof the most remarkable achievements in the annals of medicine. However, Mackenzie was a man with an unfulfilledmission, and even after he had established himself as one of London's leading consultants,with a tremendous reputation and a huge income for those days of £8,000, hewas restless and dissatisfied. He was searching for better understanding of the originsof disease and for prevention; he had become convinced that in this search the medicineof the hospital and of the specialist, which he had experienced for 11 years, wasgoing in the wrong direction. "I am convinced," he wrote (Mackenzie, 1919),"that the conception of specialism dominant today is wrong, and helpful as thisspecialism has been in many ways, nevertheless, instead of enlightening it tendsto darken our understanding in a cloud of detail." "The modern conceptionof specialism is responsible for much confused thinking and so for the delay in theattainment of knowledge" (Mackenzie, 1926). General practice, argued Mackenzie, was the placeto understand the origins of disease. "If the conditions which predispose to orprovoke disease are to be recognised the investigator must have the opportunity ofseeking the circumstances which led up to the invasion of the disease" (Wilson,1927). In repeating Mackenzie's stricture on specialismI imply no criticism at all of the devotion and skill of those consultants with whom,during 30 years of general practice, it has been my privilege to work. Increase inknowledge and in the scope of medical technology have made more specialization inthe delivery of medical care inevitable. In general practice we could not exist withoutspecialist support. But for those following Mackenzie who seek tounderstand the origins of disease and the basis of health I believe his words ringtrue today: "The modern conception of specialism is responsible for much confusedthinking". Mackenzie hoped that with better trainingin the investigation of the earliest signs or symptoms of disease an enlightenedband of general practitioners might learn to avert later manifestations. So, at theage of 65, in spite of increasing attacks of angina, undaunted in his search forprevention he turned his back on Harley Street and in 1918 returned to general practice.Few understood what he was doing: some thought he was crazy. In his broad approach to the problems of healthand disease he was far ahead of his time. But he did not know (what I believe isblatantly obvious today) that the skills and ways of prevention are utterly removedfrom those of cure. He did not know that health cannot be created by studying eventhe earliest symptoms of disease, nor by medical intervention, however skilled, orhowever well organised. As a project for prevention the Institute of Clinical Researchwhich he founded at St Andrew's was thus doomed to failure. But the fallacy thatearly diagnosis and various screening programmes will make us healthier dies hardand remains the priority today for some enthusiasts for prevention. To understand this fallacy we need only studythe record. General practice has indeed developed along the lines advocated by Mackenzie.We have today vastly improved methods of recording and opportunities of studyingthese early symptoms which he thought so important. The part of our gross nationalproduct devoted to all medical services has increased from 3.8 per cent in 1951 to5.7 per cent in 1975. We have more doctors per head of the populationthan ever before but, alas, all this increased expenditure of money and improvementin skill appears to have made very little difference to the general health of thenation. Success in combating infection has been impressive,but during the twentieth century there has been a rising tide of new diseases whoseravages continue at a high level among people of industrial societies. In 1918, when Mackenzie left London for St Andrew's,coronary thrombosis was virtually unknown (Michaels, 1966); so was diverticular diseaseof the colon (Painter and Burkitt, 1971). Both are now among the commonest diseasesseen in practice today. The decay of our arteries as seen in coronary thrombosisis matched by the continuing incompetence of our veins; about 10 per cent of thepopulation have varicose veins (Cleave, 1960) and many sufferers are greatly incapacitatedby their complications. Duodenal ulcer, which at the beginning of thecentury was very rare (Illingworth, 1953), remains a common, crippling abdominaldisease. The arthropathies and rheumatic complaints continue to cause disabilityon a vast scale (Wood, 1971). Since the closing decades of the last centurythere has been a real increase in gallbladder disease (Heaton, 1972), appendicitis(Burkitt, 1971) and diabetes (Cleave, 1956). Recent evidence from Glasgow appearsto show a considerable increase in diabetes in children (Craig et al., 1977). In Scotland, so terrible is the state of thenation's teeth that 44 per cent of adults aged 16 and over have no teeth at all (Toddand Whitworth, 1974). The worst of all our afflictions is cancer. Since1930 there has been a 62 per cent increase in Scotland's crude mortality rate forcancer which then standardised gives an increase of 15 per cent (DHSS, 1977). In a survey of 25 countries Scotland had thehighest mortality rate for cancer in men and the fourth highest for women (Kemp andRuthven, 1978). In our Aberfeldy practice we have diagnosed 51new cases of cancer in the last three years (Table 1). In noting this high incidencein such a small community we must remember that like most rural practices ours isheavily loaded with elderly people: 23.6 per cent of our practice population areover 65, but 43 per cent of our patients with cancer were under 70, and 21 per centwere under 60. A look at the site of these cancers shows a heavy ponderance of bowelcancer (Table 2). This preponderance does not agree with the ScottishHome and Health Department's statement (1977) that cancer of the colon is the thirdcommonest cancer in Scotland following that of lung and stomach. Probably this discrepancyreflects our population's age group and maybe these last three years show an atypicalwave of incidence. Unfortunately, we do not have accurate figures for previous years. I believe it is true to say that in those countrieswhich have achieved unparalleled advance in technological skill in medicine and inwhat is called standard of living we are witnessing the decay of man--the decay ofhis teeth, his arteries, his bowels, and his joints on a colossal and unprecedentedscale. We cannot blame it all on the ageing of the population.Many of the modern forms of decay afflict young and old and when we look at the recordof the working male population it seems equally depressing. Figure 1 shows the annual number of days of incapacityper insured person from 1953 to 1973. The commonest diagnosis was bronchitis followedby diseases of the circulatory system; rheumatism, and arthritis came third. It wouldseem that the launching of the Health Service in 1948 brought no improvement at allin the capacity of employees for work: indeed the opposite was the case. Even ifthe graph expresses only changing attitudes or lack of job satisfaction, it doesseem to demonstrate an ever-increasing load on the nation's medical and social securityservices. Figure 1. 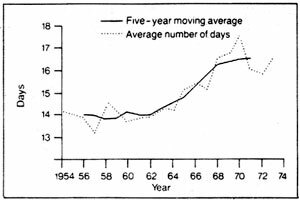 Average number of days of incapacity per insured person	per year (1953/14 to 1972/3). Source: Office of Health Economics (1975). If a rising standard of living and ever moresophisticated medical care have failed to stem the twentieth century's epidemic ofnew disease and disability, where do we go for prevention? It is my aim in this lectureto provide the answer. First, however, I want to comment on the delusionwhich led to the establishment of the wrongly named 'National Health Service', thedelusion being that if only everyone had unfettered access to the best availablemedical services, people would get healthier. By the turn of the century medical scientistshad seen in the work of Pasteur, Lister, Koch, Simpson, and others new worlds ofopportunity in medicine and in surgery. They felt confident in expecting all theanswers to the problems of prevention as well as of treatment from advances in medicalresearch. In wider fields of thought also, the supremacyof science had become the new hope of mankind. Those who followed Darwin saw mannot as part of God's image and of an awesome and mysterious Divine purpose, but merelyas an evolved ape, a bag of haphazard molecules. The writings of Freud and Karl Marxfurther widened the growing gap between science and established religion. No needwas there now for the wonder or for reverence; budding scientists embraced the idea,held deeply in the human psyche since the Garden of Eden, that man was far smarterthan nature. So, in the euphoria following Hitler's war, politiciansand people eagerly accepted Sir William Beveridge's Welfare State with its NationalHealth Service in the naive belief that they were banishing forever the spectresof disease and hunger. Not all observers in the 1940s shared in thefalse hope of health through a comprehensive medical service. The writers of whatis sometimes called the Organic School, whose most forthright and eloquent leaderwas Lady Eve Balfour (Balfour, 1948), shared a common theme; human health could beunderstood only in the context of vital relationships between man and the livingworld of soil, plant, and animal. They emphasised that our ignorance was far greaterthan our knowledge but that we already knew enough to predict that if the disruptionof those natural relationships by new technologies in agriculture and food processingcontinued, search for health by medical advance would be in vain - our bodies wouldinevitably decay. This conclusion followed the research of one of the best knownof the early pioneers in the new knowledge of nutrition, Sir Robert McCarrison. McCarrison joined the Indian Medical Servicein 1901 and as a young officer soon made his mark by original research into the causeof sandfly fever (McCarrison, (1906, 1908). He became well known for his publicationson goitre and deficiency diseases (McCarrison, 1917, 1921), In his early years inthe Northern Frontier region, in a role similar to that of general practitioner,he was deeply impressed by the health and vigour of certain races there, notablythe Sikhs and the Hunzas: they suffered from none of the major diseases of the Westernnations such as cancer, peptic ulcer, appendicitis, and dental decay. They were longlived and their vibrant health was in marked contrast to the high morbidity of otherraces in the southern part of India. Here was a control group of human beings witha near zero incidence of morbidity; McCarrison realised that in this phenomenon hewas observing something of unique importance in human affairs. As Director of Nutrition Research in India helater confirmed in a long programme of research that the absence of morbidity hehad witnessed was not due to any accident of race or climate but simply to soundnutrition. Colonies of rats fed on food identical to thatof those Northern races constantly showed all the signs of health; he was thus ableto maintain a control colony of healthy stock animals which repeated long-term feedingtrials contrasted with the poor physique, widespread respiratory infections and gastro-intestinaldegeneration suffered by rat colonies fed on food identical to that of the poorerpeople of Madras and Bengal. A high incidence of infection and degeneration was alsonoted in rats fed on a typical poor class British diet of tinned meat, boiled potatoesand cabbages, white bread, margarine and jam, and much sweetened tea (McCarrison1953). It was grown by people who were devoted and expert farmers, maintaining	the fertility of their soils by organic methods. The bulk of their carbohydrates was in the form of wholegrain	cereals; they ate no white flour and little or no sugar. Much of their protein and fat came from an abundance of milk and	milk products such as butter and cheese. Meat was taken occasionally about once a	week. This basic ration was supplemented by a wide variety of fruit	and vegetables, often eaten raw. McCarrison was not able to identify which particulardisease was caused by which particular dietary fault or deficiency. In his approachto health as a whole, fragmentation of knowledge was at this stage neither possiblenor necessary. What mattered was the whole diet and its effecton the whole organism and the need of mankind for food which was varied, fresh, unrefined,and free from artificial additives. Without such food McCarrison repeatedly demonstratedthat growth and stature were substandard, and resistance both to infection and degenerationlowered; this appeared to be true for some types of the worst of all degenerations- cancer. In a review of McCarrison's work Wrench (1938)emphasised its revolutionary message; of all factors which make for human healththe greatest single factor is adequate nutrition. This simply means that howeverexcellent are housing, clothing, sanitation, exercise performance, or smoking habits,inadequate nutrition such as still prevails in Britain today will continue to causewidespread disease. 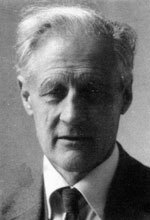 A summary of McCarrison's work and conclusionspublished in the British Medical Journal in 1936 was greeted by a deafeningsilence. Yet here was the answer to our question, "Where do we go for prevention? "But our profession, forever darkening their understanding in Mackenzie's cloud ofdetail, were too busy studying disease to pay any attention to this signpost to health.The sulphonamides had just been discovered, which helped to confirm the faith ofspecialism in health through new wonder drugs and new medical techniques. So the people said something would have to bedone. Some, "An ambulance down in the valley". The response of the profession and governmentto the ravages of new disease has been to call for more ambulances. But as the costof new sophisticated models is prohibitive, and as the nation faces bankruptcy, atlast our thoughts are turning to the need for fence building. There seems to be,however, no agreement by professional spokesmen as to how to go about it. The failure so far by profession and people tograsp the true nature of the fence seems all the more surprising as newer researchin nutrition repeatedly confirms McCarrison's thesis. As a newcomer to rural practice in 1948, whilevisiting families at their mealtimes I realised with horror that in this lovely,fertile Highland valley my patients were eating food very little different from thatwhich had had such a devastating effect on McCarrison's rats. The main feature of the modern Highlander's dietis the absence of fresh vegetables and salads, the absence of wholegrain cereals,and the massive intake of refined carbohydrates. Porridge no longer adorns the breakfasttable, and the Scottish high tea of scones, cakes, biscuits and tinned jam is a festivalof sugar and starch. I thought it surprising that farmers who devotedtheir lives to rearing healthy farm animals by sound nutrition should allow theirwives to load the kitchen table with processed trash. If the teeth of their cattlewere to rot as badly as did those of their children they would have taken strenuousmeasures for prevention. But agriculture seemed no longer to be thought of as a processfor feeding people--it had become another industry modelled on the factory productionline. The balance sheet according to bogus monetary values was all that mattered.Human health was forgotten. I became convinced that here, in Mackenzie'swords, I was seeing the "condition which led to the invasion of the disease".Here was the reason why our practice, so far removed from any kind of urban stress,had such a high incidence of diseases like peptic ulcer, coronary heart disease,hypertension and cancer; and why even in the clean Highland air, recurring respiratoryinfections were relatively common. The quiet rural life and employment involvinghard, physical work seemed to give no protection at all against diseases supposedto be due to lack of exercise and urban-type stress. For instance, duodenal ulcer,supposed to be a stress disease, appeared to be common; in the last three years wehave averaged six new cases annually. The most likely explanation for the awful humandecay I was witnessing was the kind of food I had described food which McCarrisonhad shown to be associated with widespread disease; and how tragic that nowhere inall Britain could a control population be found. Control populations are becoming rare as ramifyingtrade routes carry the processed foods of the West to even the remotest human settlements. The contrast in disease patterns between primitivesand moderns which so strikingly confirms McCarrison's experience was well researchedby Price in the 1930s (Price, 1945). Post-war publications tell of the same contrastamong many different races (Schaefer, 1959; Stefanson, 1960; Cleave et al., 1969;Burkitt, 1973; Cleave, 1974). One of these, a fascinating essay in the Journalof the Women's Medical Federation by a general practitioner, Dr Mary Jackson(1956), describes the rising incidence of dental decay, obesity, coronary disease,diabetes, and pregnancy toxaemia which she observed among the Canadian Metis Indiansafter a new road to northern oil fields brought to those hunters and gatherers theprocessed foods of civilisation. In the British Isles no 'primitives' are left;indeed, with the total destruction of rural economy everywhere in our island, primitives,if communities in the more isolated rural areas deserve that name, are more dependenton processed foods than are Londoners. A recent example is one of my patients with acluster of diseases often seen in those employed in rural occupations. He was a 61-year-oldgamekeeper who had no teeth of his own, a history of coronary artery disease, a duodenalulcer, and had suffered a left-sided stroke which ended his working life. His caseis typical of many a Highlander. There now seems to be no evidence that in Britainrural populations enjoy better health than town populations. But the far better healthand stature of the higher social classes (Health Departments, 1976) is, in my opinion,yet further confirmation of McCarrison's thesis. The higher income groups eat less refined carbohydrateand more fresh green food than the lower income groups, which is certainly the impressionof mealtime visits; the National Food Surveys seem to agree (Figure 2). Figure 2. Family food consumption by wages of household. 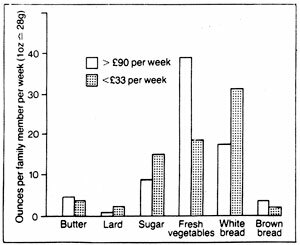 Source:	National Food Survey, 1976, using household comprising two adults and two children	(Clayton, 1978). In digressing briefly to ask why industrial peoplessubstitute in place of wholewheat flour (which is so simple to mill and pleasantto eat) a white, inert, tasteless, constipating powder, robbed by complex processingof most of its fibre and much of its virtue, we learn as much of man's psyche asof his nutritional needs. From early history sifted white flour was equatedwith wealth and status, coarse wholewheat with the rough inferior peasant. In England the physicians of the seventeenthcentury noted that white flour was constipating and fattening, wholewheat laxativeand slimming (McCance, 1956). They were quite right (Heaton, 1973). But by the eighteenthcentury to have white wheaten bread on the table was a symbol of wealth and class.So the servant classes and the city poor clamoured to be up with the Jones's (McCance,1956). By the beginning of the nineteenth century all classes were eating white bread,and by 1865 it became more profitable for the millers to make white flour, so everyonewas happy and thus was laid the foundation of the constipated state. Cleave pointed out that the effect of partialremoval of fibre in the milling process in the case of white flour was compoundedby its complete removal by refining, in the case of refined sugar. Moreover increasingconsumption of sugar displaced natural fibre-containing foods, thus aggravating thecause of constipation with its complications of diverticular disease, haemorrhoids,varicose veins, and large bowel cancer. After his appointment in 1955 as Director ofMedical Research at the Royal Naval Medical School, Gosport, Cleave continued hisresearches on the effect of different organs and tissues of diets high in refinedcarbohydrate (Cleave, 1960, 1962, 1969). He gave the concept of a single "saccharinedisease" having, like syphillis, a remarkably widespread pathology, but onesimple cause. Figure 3. World sugar production (1899/1900 to 1963/4). Source	Ackroyd (1967). One mechanism elaborated by Cleave sheds lighton the total confusion arising from conflicting theories of the dietary cause ofcoronary thrombosis. This mechanism is over-consumption caused by abnormally swiftand massive absorption of carbohydrates when the carbohydrate has been unnaturallyconcentrated--in the case of white flour by 30 per cent and in the case of sugarby almost 100 per cent. According to this theory the abnormally swiftabsorption of refined sugar by disrupting normal glucose tolerance in time leadsto the onset of diabetes, thus explaining the high incidence of this disease in advancedcountries, its absence in primitives, and its recent explosive increase in partsof Africa (Cleave, 1974). In people eating large quantities of refinedsugar, 40.5kg (90 lbs) a year, the constant appearance together of obesity and, aftera latent period of at least two decades, diabetes and coronary thrombosis, arguesa common cause. Exactly how abnormalities of carbohydrate absorption and metabolismdamage our arteries are not yet known. Professor John Yudkin has emphasised the importanceof hormone imbalance resulting from hyperinsulinism and changes in corticosteroidoutput which in some people follows a high consumption of sugar (Yudkin, 1972). Surveys in this country, which appear to showno greater incidence of coronary thrombosis among subjects with an intake of sugarapparently higher than controls (Lancet, 1970), suffer from a fatal weakness--theabsence of true controls, eating little or no sugar. Only populations who over aspan of 30 years or more have had minimal sugar consumption, say in the region of9 to 13.5kg (20 to 30 lbs) per head annually (a level which prevailed in the firsthalf of the nineteenth century) could be regarded as true controls. Such groups wouldbe impossible to find today in Britain. Teenage children are eating about 210g (7.5ozs) daily (Yudkin, 1972) and much of our sugar is consumed as food additive (Jukes,1977). The huge increase in sugar consumption throughoutthe world (Figure 3) coupled with the replacement of wholegrain cereals by refinedflour will result, if Cleave's theory is correct, in the ever-widening spread ofthose diseases enumerated by him. Recently, McKeown has argued powerfully thatthe trebling of the population in Britain from 1700 to the mid-1800s was due notto better medical care or improved hygiene but simply to a fall in mortality resultingfrom better nutrition (McKeown, 1976). The second agricultural revolution of the eighteenthcentury greatly increased the supply of our home-grown food. McKeown's account ofincreased resistance to disease from improved nutrition agrees absolutely with McCarrison'sthesis. It is of the utmost importance to note that thetrebling of the population, thanks to increased food production, occurred beforethe introduction of chemical fertilizers. This fact casts doubt on the popular belief thata hungry world cannot be fed without massive application of soluble chemicals tothe soil. This subject seemed to me so important that over three years in my gardenI have tried to find out what happens when you grow food without using either chemicalfertilizers or toxic sprays. Ten years ago the rough sloping stone-strewnground around our new house had to be levelled and terraced to make two small vegetableplots. Only composts made from cow or poultry dung, with the addition of quite alot of human urine, were used as fertilizer. Our winters are hard and the growingseason relatively short; but the response of unpromising land to this treatment seemedso generous that in order to measure our output we weighed all our crop from 1 April1977 to 31 March 1978 (Table 3). Tomatoes and cucumbers from two small greenhouseswere added. The weight of food was over 510kg (half a ton) and if the greenhousecrops are excluded is at the rate of over five tons to the acre. Faith in organic methods is confirmed by workin Holland, France, and England which shows that output from organic farms can besimilar to those using conventional fertilizers (Hodges, 1978). Even if in some circumstancescrop yields can be increased by the use of chemicals, we are largely ignorant ofwhat chemical methods do to the health of the consumer. Several published resultshave shown a measurable change in nutritional quality when chemicals are used inplace of organic manures (McCarrison, 1926; Rowlands and Wilkinson, 1930; Schuphan,1974). These results may be questioned but there isno doubt at all of the fact that only a small proportion, probably about one fifth,of chemical fertilizer put on the land is actually taken up by the crop (Milton,1975). Much of the remainder is leached out into our surface water systems whererising nitrate levels in some areas are causing concern; there is evidence whichsuggests that high nitrate levels in drinking water and crops can be a cause of stomachcancer (Lancet, 1977). 1 April 1977 to 31 March 1978. Discussion on this subject is incomplete withoutlooking at the traffic on the great estuaries of Britain, on which boats or bargesladen with sewage sludge going seawards pass incoming boats loaded with artificialfertilizer. Millions of tons of the sludge containing potash and phosphate are dailydumped at the mouths of the estuaries where it fouls up the seas and the shores.The fertilizer, imported to the detriment of our balance of payments, is dumped onthe land where in its turn it fouls up the inland waterways (Wylie, 1959). Both processeswill in the long run, I believe, hasten the progress of human decay. To sum up so far: the researches of McCarrison,Cleave, and many others, and our observations in practice all teach the same lessonthat the way to true prevention is by sound nutrition. Without adequate food allother measures will be of little avail. However, as the organic school has for long pleaded,sound nutrition is much more than counting calories or adding up inert vitamins,minerals, and proteins. It is part of a living process, embracing man's relationshipwith the plant and animal world and is subject to nature's laws. An understanding of these laws comes as muchfrom inbred wisdom as from advanced degrees in biochemistry. Mackenzie knew this;his mind was searching along the way of ecology when he wrote, "An increasein the knowledge of natural laws leads to simplification" (Mackenzie, 1919). The simplicity of the idea that so much diseasecould be caused by modern malnutrition may be difficult to accept, and the thoughtof nature's laws quite baffling. Man bestrides a natural world. He dominates allliving things but he is utterly dependent on them. He is supported by the plants,the trees, and the animals. The whole system rests on the soil which is itself vibrantwith life. If any part of the supporting system is taken away, man will begin tofall off his perch. The whole system is powered by energy from thesun, and the moon reminds us of the unfortunate propensity of man for lunacy. Bylunacy I do not mean that which afflicts the occupants of the 125,000 mental hospitalbeds in Britain. I mean his tendency to infantile behaviour, to embrace and act outirrational beliefs and idiotic ideas. This form of lunacy from time to time afflictsus all and is a condition from which no social class or group, however privilegedor academic, is entirely free. The laws of nature applied to nutrition simplyrequire that the flow of nutrients from the soil through the plants and the animalsto man should be as little meddled with as possible. The flow is dependent on aninfinite number of biological relationships which can neither be counted nor measured. There are, of course, soil scientists, botanists,zoologists, anthropologists, and others who can measure and analyse little separatebits of the system. Inevitably they are steeped in specialism and vast librariesare filled to overflowing with their findings - a huge store of knowledge which forthe unwise is apt to become a dense cloud of detail, obscuring simple truths. Minimal cooking is a blessing which has addedgreatly to our delight in food. Used sparingly and judiciously it can surely do usno harm. But what is the effect of manmade chemicals, added to all parts of the foodchain--especially to food which has been subjected to repeated cooking and otherforms of fabrication? In Britain one estimate gives a weight of 1.44kg(3.2 lbs) of chemical additive consumed per head of the population annually--thatis equivalent to 12 aspirin-size tablets daily (Thomson, 1975). No food technologists,however erudite, could possibly predict the long-term effect of this chemical onslaughton our metabolism, nor say that it has not played a part in the cause of our highincidence of cancer. The separation of urban populations from theworld of nature and the intensification of specialism in biological research hasled to the spread of beliefs on prevention which show no understanding at all ofnature's laws. At a time of ever-increasing centralization ofgovernment control there is grave danger of such beliefs being enshrined as dogmaand incorporated in programmes for prevention, of unproven value and of possibledanger. This danger is well illustrated by the dogmaof animal fat and the branding of animal fat as the villain of human nutrition. Animal fat has been an important part of humandiet since our ancestors came down from the trees and started hunting and, even moreimportant, since they learned to domesticate wild animals 10,000 years ago. It is, therefore, not surprising that some populationswho by our standards eat enormous quantities of such fat have in their natural habitatno coronary disease at all (British Medical Journal, 1971; Mann et al, 1964).Their freedom is not, I believe, due to their habit of physical exercise; in my experiencethe relatively hard physical work of rural occupations is no protection from coronarydisease. The freedom from coronary thrombosis in groupseating large quantities of animal fat is well demonstrated by complete absence ofany description of acute infarction in Mackenzie's writings. Mair (1973) mentions "the failure by himand others of his era to recognise the significance, even the presence, ofthat condition so prominent today--coronary thrombosis or myocardial infarction"(my italics). It is inconceivable that men of Mackenzie's diagnosticskill would have failed to recognise myocardial infarction had it occurred in theirday as it does now. Dr Jack Henderson, my respected erstwhile neighbour from Pitlochry,in his Mackenzie Lecture of 1964 stated: "In 1925 coronary artery thrombosiswas a rare disease and I do not recall seeing even one example of it when I was astudent". The failure of Mackenzie and his contemporariesto recognise acute infarction was simply because it was not there. Michaels (1966)has traced the history of coronary disease from the first record of angina in theeighteenth century and has confirmed the absence of acute infarction until the presentcentury. But in Mackenzie's day the Victorian and Edwardian servant-keeping classes,that is, almost one-third of the population of England and Wales, ate as much ormore animal fat than is being eaten today. And they were physically lazy (Michaels,1966). 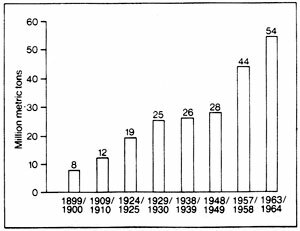 There has been no increase in fat consumptionwhich could possibly explain the onset of coronary thrombosis in the 1920s and itsexplosive increase in post-war years (Trenchard, 1977). 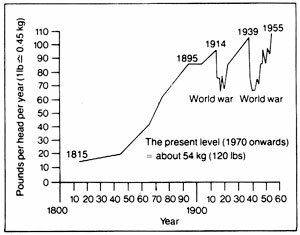 This record of fat consumption may be contrastedwith the huge increase in the consumption of sugar which has occurred over the last150 years in Great Britain (Figure 4). Figure 4. The rise in sugar consumption in the UK from 1815 to	1955. Source: Cleave (1974). A recent suggestion that high blood cholesterolmay simply be the expression of a bodily defence mechanism designed by nature torepair arterial damage in my opinion gives a better explanation of the facts thanany other (Kaunitz, 1977). Hypercholesterolaemia would (according to thisexplanation) have nothing to do with the cause of atheroma but could be comparedto the high white cell counts which occur in chronic infection. It would thus beas absurd to blame high blood cholesterol as the cause of arterial disease as toblame white cell counts as the cause of chronic infection. The popular belief in the efficacy of increasingthe ratio of polyunsaturated dietary fat as a means of preventing coronary diseasefinds no confirmation at all in those populations who have succeeded in increasinggreatly the proportion of vegetable oils in their food and yet have experienced asteep rise in the incidence of coronary thrombosis (Antar et al., 1964; McMichael,1977). The campaign against traditional foods like eggs,butter, and milk, which McCarrison showed were such an essential part of human foodhas, of course, been given great impetus by the manufacturers of processed oils whosetrade would flourish if housewives could be persuaded to change from butter and lardto margarine and corn oil. The role of government in prevention is fraughtwith great danger and difficulty; governments should not tell citizens what theyshould eat or drink. In discussing nutrition, the White Paper onPrevention and Health (DHSS, 1977) sensibly takes this view and gives the mainrole of government as assembling, assessing, and disseminating information. But thereis the rub. What information? If it is information based on false dogma it may havethe opposite effect of that intended. In the White Paper there is little evidenceof an awareness of the conflict which I have tried to highlight--the conflict betweenthe trading interests of those who manufacture food or chemicals and the needs ofhuman health. "We are moving gradually into a world of	designed consumer foods. Natural farm produce such as milk, potatoes, and grains	are no longer just complete foods to be eaten as part of a meal. They have become	ever-expanding sources of raw material to be utilized as building blocks for new	and more diverse foods." All doctors who wish to pay more than lip serviceto prevention should resist these trends to the utmost. General practitioners couldgive a strong lead in creating a loud and rising demand for fresh, whole food. Food labelling. No article of food on sale in shops should be	exempt from compulsory labelling, in letters large enough to be easily read, of all	artificial additives including quantities of additives. Food colouring. Food which requires artificial dye to make it	attractive must have something wrong with it. All artificial colouring of food and	drink should be banned. Such a law would do away with the extraordinary anomalies	occurring in North America. Again I quote Professor Hall (1977): "Red dye number	two (amaranth) causes cancer in the United States, but in crossing the border it	apparently becomes so benign that it is permitted to colour about one third of all	manufactured food sold in Canada. Red dye number 40 (another coal tar dye) is just	the reverse, deadly in Canada, benign in the United States". Bread. The aim of new legislation should be to make available	to all the population bread baked from freshly ground wholewheat flour. Inevitably	this would necessitate much reorganisation and decentralisation of the milling and	baking industries. By tax or subsidy such wholewheat bread should be cheaper to the	housewife than white. Sugar. A substantial tax or duty should be imposed with the object	of achieving a drastic cutback in the consumption of sugar. This would give an opportunity	for traders and growers to substitute natural sweeteners in the form of dried or	fresh fruits. Advertising. Misleading advertising of food should be penalised;	for example, those advertisements which use images of fields and farmyards to emphasize	the value of natural food in order to sell a highly processed and unnatural food,	such as a brand of margarine or a bar of chocolate. Administrative changes might help to bring anend to the present Orwellian use of the word 'health' when what is meant is 'disease'or 'medical'. The health part of the Department of Health and Social Security wouldbe renamed the Department of Medical Services and its Minister would be in chargeof the National Medical Service. A new Ministry of Land Use, Food, and Healthmight take on the monumental task of restoring some balance between town and country,of making Britain self-supporting in basic foods, of encouraging the consumptionof fresh home-grown food rather than convenience foods. Human health would thus be seen as the highestpriority of land use; every encouragement would be given to the new marketing organisationswhich are expanding in Britain and in other European countries, founded by thosewho seek to give consumers the opportunity of buying organically grown food. A changeto organic farming could not be achieved without a substantial return of populationto the land and a proliferation of smaller labour-intensive units. The saving offossil fuel energy, the redistribution of population, and the rescue of our surfacewater from pollution and of our food from toxic residues which would result frombiological rather than chemical farming would surely in themselves make such changesin agriculture highly desirable. These beginnings in building a strong fence wouldbe violently opposed by the new industries which, as we have seen, are set on a courseof ever more food processing and which have such vast resources for advertising theirproducts and for influencing scientific research. My suggestions, I am well aware, will also begreeted with derision by scientists who are missionaries for orthodox dogma. Again I will be criticised for not mentioningin a talk on prevention the subject of tobacco or alcohol. I am sure that it is sensibleto spend taxes raised in the sale of cigarettes and alcohol on warnings of the dangerof addiction but to do so while ignoring far more widespread dangers of malnutritionis to mistake priorities. It is also just possible that carcinogens of tobacco mightbe better resisted in a well-fed population. Heretics are for burning. But we would have noMackenzie Lecture if the man whose memory we annually honour had not repeatedly questionedthe orthodoxy of his time. His brother wrote of him, "He was thinking, devising,enquiring into the reason of things and never content with things as they are becauseauthority said so" (Amulree, undated). "Don't believe a word of what Mackenziesaid, blot it out. He's faddist," cried a professor of medicine to his studentsafter Mackenzie , who had demonstrated that a patient's heart murmur was quite innocent,had left the lecture theatre (Mackenzie papers). What a fragile treasure is truth! Especiallywhen the cloud of detail is so large, the confines of specialism so small, and thesinews of propaganda so strong. When wealth accumulates and men decay. The saddest thing I have had to witness in my30 years in Aberfeldy is the relentless drain of "the bold peasantry" fromthe farms and estates and villages of the Upper Tay Valley, a process which has beengoing on so long that It has made a depopulated wilderness of much of rural Scotland.One result, and a very serious one, of this depopulation is the loss of human stock,bred and brought up close to the realities of nature--stock of which Mackenzie'sparents were shining examples. As rural depopulation relentlessly progressesin industrialised countries, huge conurbations spread like cancers over the landso that now two thirds of all people in these countries live in and around cities(Ward, 1976). A notable exception is Switzerland with its enviablerecord of stable currency and strife-free industry where only 35 per cent of thepopulation live in cities larger than 200,000 inhabitants (Ward, 1976). It wouldseem from the Swiss example that flourishing industry need not create deserted villages. How can we restore to our land pride of placeto the small mixed family farm which conserves and enhances fertility and is themost highly productive unit of all (Ward, 1976; Hyams, 1976)? I do not know the answerto that question but I am sure that in the present state of the world, a nation suchas ours which grows only half its own food and sees more than a million of its menstanding idle in the city streets while thousands of acres stand idle in the countryside,is giving an example not of nationhood but of lunacy. These thoughts raise burning questions aboutthe future place in our lives of industry, technology, and agriculture. After goingso far along the road of industrialism we seem, in Britain, to have come to a haltat some kind of crossroads. The modern Frankensteins of tyranny, greed, violence,and inhumanity, which in our great cities loom so large, are threats to our verysurvival and we seem to have lost all reverence for life and for each other. We will survive as a great and inventive peopleif we can find a way of life where machines and the money behind the machines ceaseto be our masters but take their place as a means of enhancing human health and humandignity. The new epidemics of degenerative disease arenot inevitable, nor is their cause mysterious. They are nature's language, tellingeloquently of our failure to understand the supreme importance of nature's laws. Let us stop at its source all this mischief,"cried he. Without writing another lecture it is difficultfully to record my thanks to so many helpers. Professor James Knox and his staff cheerfullyand unfailingly gave advice in preparation of slides. Professor Alex Mair put atmy disposal his beautifully filed collection of Mackenzie papers. Sir James Mackenzie'sniece, Mrs Stewart Thomson, told me willingly about her family and Mr James Reid,late of Picstonhill, told me of the farm. Lady Eve Balfour and Dr Innes Pearse have,over the years, always responded to my queries and arguments; so have Dr KennethHeaton, Mr Denis Burkitt, and Professor John Yudkin. Dr Harry Stalker has scoutedthe medical libraries for references on nutrition on my behalf. Ms Judith Applebytransformed my chaotic sketch into a striking picture. To them all I would like to record my undyingthanks. I owe a special debt of thanks to Surgeon CaptainT L Cleave for teaching me so much, for giving me his time in long hours of argument,and for sharing with me so generously his unique insight into the wonder of nature'sprocesses. Special thanks also goes to our practice secretary,Mrs Grace McColgan, for typing the script again and again and again! And how can I sufficiently thank my wife, Sonia,and daughter, Jane, for so valiantly picking and weighing vegetables in snow, sunshine,and storm, and the whole family for tolerating my neglect of other things duringthis journey with Sir James Mackenzie! Ackroyd, W. R. (1967). Sweet Malefactor.London: Heinemann. Amulree, B. W. S. M. Mackenzie Papers.Department of Social and Occupational Medicine, Ninewells Hospital, Dundee. Antar, M. A., Ohlson, M. A. and Hodges, R. E.(1964). "Changes in retail marketfood supplies in the United States in the lastseventy years in relation to the incidence of coronary heart disease, with specialreference to dietary carbohydrates and essential fatty acids." American Journalof Clinical Nutrition, 14, 169-178. Balfour, E. B. (1943). The Living Soil. London(Faber and Faber). Universe Books N.Y. 1975. British Medical Journal (1971). "TheMasai's cholesterol." Editorial, 3, 262-263. Burkitt, D. P. (1971). "The aetiology ofappendicitis." British Journal of Surgery, 58, 695-699. Burkitt, D. P. (1973). "Some diseases characteristicof modern western civilisation." British Medical Journal, 1, 274-278. Clayton, M. ( 1978). The Times, 18 April. Cleave, T. L. 1941). "Natural bran in thetreatment of constipation." British Medical Journal, 1, 461. Cleave, T. L. 1956). "The neglect of naturalprinciples in current medical practice." Journal of the Royal Naval MedicalService, 42, No. 2, 55. Cleave, T. L. ( 1960). On the Causation ofVaricose Veins. Bristol: John Wright. Cleave, T. L. (1962). Peptic Ulcer. Bristol:John Wright. Cleave, T. L. (1974). The Saccharine Disease.Bristol: John Wright. Cleave, T. L., Campbell, G. D. and Painter, N.S. (1969). Diabetes, Coronary Thrombosis and the Saccharine Disease. Bristol:John Wright. Connor, W. E. and Connor, S. L, (1972). "Thekey role of nutritional factors in the prevention of coronary heart disease. "Preventive Medicine, 1, 49-83. Craig, J. 0., Ford, J. A. and McCulsh, A. C.(1977). "Rising incidence of childhood diabetes." British Medical Journal,1, 639. Department of Health and Social Security (1977).Prevention and Health. London: HMSO. Hall, R. H. (1977). "Are the multitudesof fabricated foods really a health hazard protected by law?" Science Forum,10, No. 6, University of Toronto Press. Hall, R. H. (1978). "Is modern food ecologicallysound?" International Journal of Environmental Studies, 12, 12-25. Heaton, K. W. (1971). Bile Salts in Healthand Disease. Edinburgh: Churchill Livingstone. Heaton, K. W. (1973). "Foodfibre as an obstacleto energy intake." Lancet, 2, 1418-1421. Henderson, J. M. (1964). "Looking back toMackenzie." James Mackenzie Lecture 1963. Journal of the College of GeneralPractitioners, 7, 9-23. Hodges, R. D. (1978). "The case for biologicalagriculture." International Institute of Biological Husbandry. No. 1.Stowmarket. Kaunitz, H. (1978). "Cholesterol and repairprocess in atherosclerosis," USA. Lipids, 13,373-374. Kemp, I. W. and Ruthven, M. E. (1978). "Cancerin Scotland." Health Bulletin, 36, 105-109. Lancet (1977). "Nitrate and humancancer." Editorial, 2, 281-282. McCance, R. A. and Widdowson, E. M. (1956). Breads,White and Brown. London: Pitman. McCarrison, R. ( 1906). "The three-day feverof Chitral, and its contribution to the study of the unclassed fevers in India. "Indian Medical Gazette, 41, 7-14. McCarrison, R. ( 1908). "A critical analysisof the aetiology, and symptomatology of the three-day fever of Chitral. and an analogybetween this condition and Dengue Fever." Indian Medical Gazette. 43,5-12. McCarrison, R. (1917). The Thyroid Gland inHealth and Disease. London: Balliere & Co.
McCarrison, R. (1921). Studies in DeficiencyDisease. London: Oxford Medical Publications. McCarrison, R. ( 1926). "The effect of manurialconditions on the nutritive and vitamin values of millet and wheat." IndianJournal of Medical Research. 14, 351-378. McCarrison, R. (1936). "Aspects of thyroiddisease." British Medical Journal, 1, 653. McCarrison, R. (1953). Nutrition and Health.London (Faber and Faber). McCarrison Society 1982. McKenzie, J. Papers. Edinburgh UniversityLibrary. McKenzie, J. (1919). The Future of Medicine.London: Frowde, Hodder & Stoughton. Mackenzie, J. (1926). The Basis of Vital Activity.London: Faber & Gwyer. McKeown, T. (1976). The Modern Rise of Population.London: Edward Arnold. McMichael, 1 (1977). "Diet and coronaryheart disease." British medical Journal, 1, 1467-1468. Mair, A. (1973). Sir James Mackenzie, MD,1853-1925, General Practitioner, Edinburgh & London: Churchill Livingstone. Malines, J. (1953). "The fence or the ambulance. "Journal of the Soil Association, 7, No. 4, 24. Mann, G. V., Shaffer, R. D., Anderson, R. S.et al.(1904). "Cardiovascular disease in the Masai." Journal of AtherosclerosisResearch, 4, 289-312. Medical Research Council Working Party Report(1970). "Dietary sugar intake in men with myocardial infarction." Lancet,2, 1265- 1271. Michaels, L. (1966). "Aetiology of coronaryartery disease: an historical approach" British Heart Journal, 28, 258-264. Milton, R. F. (1975) in The Living Soil andThe Haughley Experiment. Ed. Balfour, E.B. London: Faber. Office of Health Economics (1975). InformationSheet 26. London: OHE. Painter, N. S. and Burkitt, D.P. (1971 ). "Diverticulardisease of the colon--a deficiency disease of Western civilisation." BritishMedical Journal, 2, 450-454. Price, W. A. (1939) Nutrition and PhysicalDegeneration, Price Pottenger Foundation, La Mesa, California. Rowlands, M. J. and Wilkinson, B. (1930). "Thevitamin B content of the grass seeds in relationship to manures." BiochemicalJournal, 24, 1. Schaefer, 0. (1959). "Medical observationsand problems in the Canadian Arctic." Canadian Medical Association Journal,81, 386-393. Schuphan, W. (1974). "Nutritional valueof crops as influenced by organic and inorganic fertilizer treatments." QualitasPlantarum, 23, No. 4, 333-358. Scottish Home and Health Department (1977). HealthServices in Edinburgh: HMSO. Stefansson, V. (1960). Cancer: Disease ofCivilisation? New York: Hill & Wang. Thornson, J. (1975). "Should modern foodcarry a government health warning?" World Medicine, 10, No. 25, 74-81. Todd, J. E. and Whitworth A. (1974). Adulthealth in Scotland, 1972. London: HMSO. Trenchard, Lord. (1977). "Fat consumption- long term trends." Health and Hygiene, 1, No. 2, 77-82. Ward, B. (1976). The Home of Man. London:Deutsch. Wilson, R. McN. (1926). The Beloved Physician.London: John Murray. Wood, P. H. N. ( 1971). "Rheumatic complaints. "British Medical Bulletin, 2-7, 82-88. Wrench, G. T. (1938). The Wheel of Health.C W Daniel. Wylie, J. C. (1959). The Wastes of Civilisation.London: Faber. Yudkin, J. (1972). Pure, White and Deadly.London: Viking.